The world is a wonderful “phenomenon” with people from all different places, backgrounds, religions, races, etc. These people possess a wide range of abilities and talents, some that are extremely useful to themselves and others. And then there are others, whose “talents” are pretty bizarre. 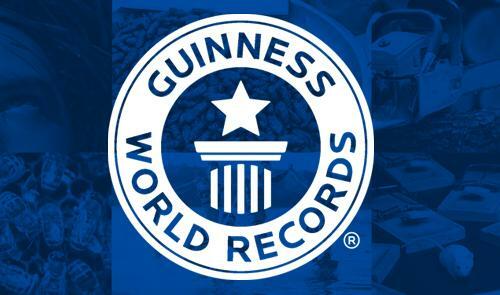 The Guinness Book of World Records is a way to document people’s talents, no matter how big or small. You just have to be the best at that particular thing to make a name for yourself. Lucky for these world record holders, no one else is probably going to think about doing the same thing to beat them (at least not very often)! For most of us, being buried alive is the stuff of nightmares. But Czech man Zdenek Zahradka spent 10 days in a coffin voluntarily. During this time, he had no food or water, and his only connection to the outside world was through a single breathing pipe. He made it out alive, and made history… so, good for him! 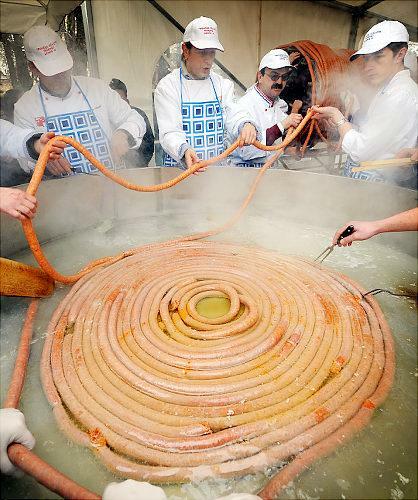 Giving the term “sausage fest” a whole other meaning, a team of chefs (of all men) in Vinkovci, a town in Croatia, constructed a 530-meter long sausage. That’s almost 1 and a half times the length of an athletics track! They beat the previous world record, which was only a measly (heh) 392 meters long. The Carolina Reaper Chilli is the hottest pepper in the world, registering at 2,200 on the Scoville Heat Unit (SHU). For reference, a bell pepper has an SHU of 0 and a poblano pepper 2000. 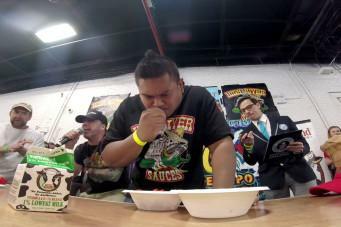 Wayne Algenio from Queens, New York ate 22 of these peppers-from-hell in a single minute. Why? Because breaking a world record was “on his bucket list”. He says he hasn’t eaten a pepper since, which is understandable, but also says he’d consider doing it again if someone were to break his record. Just… why?